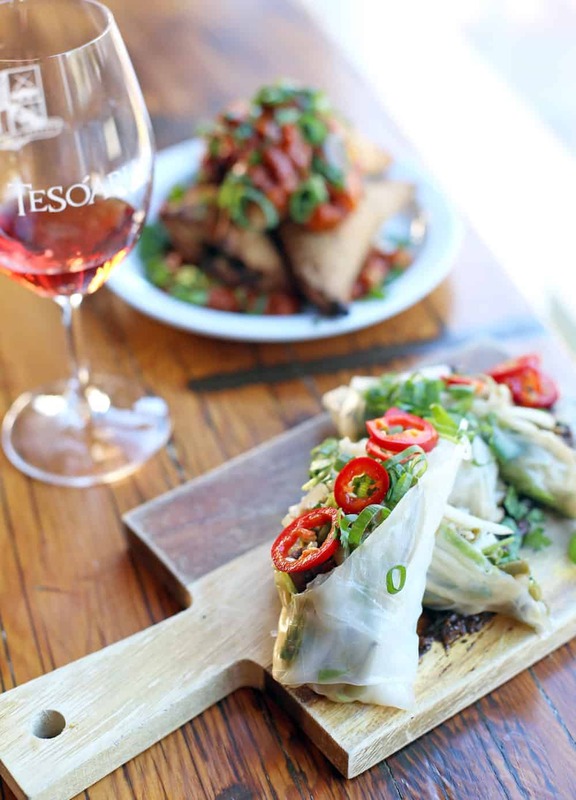 Shut Up and Eat Your Vegetables at TeSóAria Winery — Vegan Thursdays! 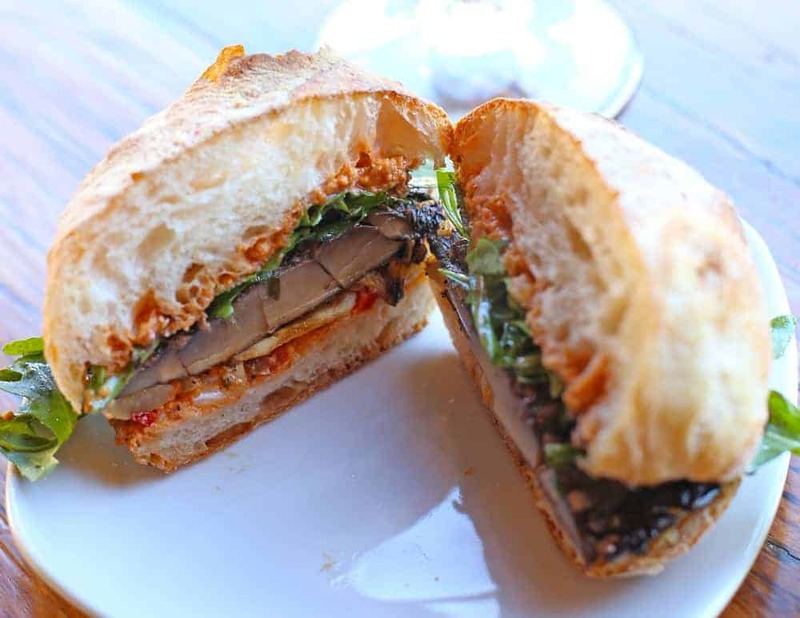 TeSóAria winery’s North Portland tasting room is introducing Vegan Thursdays, and it’s definitely worth your while whether you’re a true plant-eating vegan meat-loving carnivore. 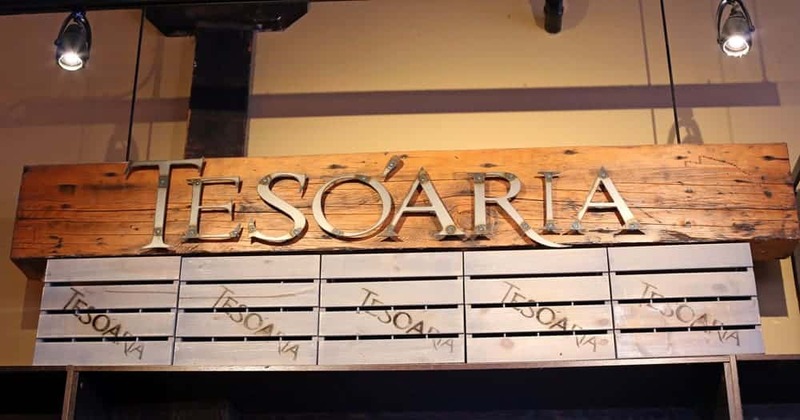 My introduction to TeSóAria Winery is a fairly recent one, and a first time mention here on the blog. Vegan food and wine pairing is also something you won’t find frequently here. What do these two have in common with each other? This Roseburg-based winery launched in 2008 by John and Joy Olson and slowly built their production from 500 cases to around 10,000, creating a cult-like following of local fans. 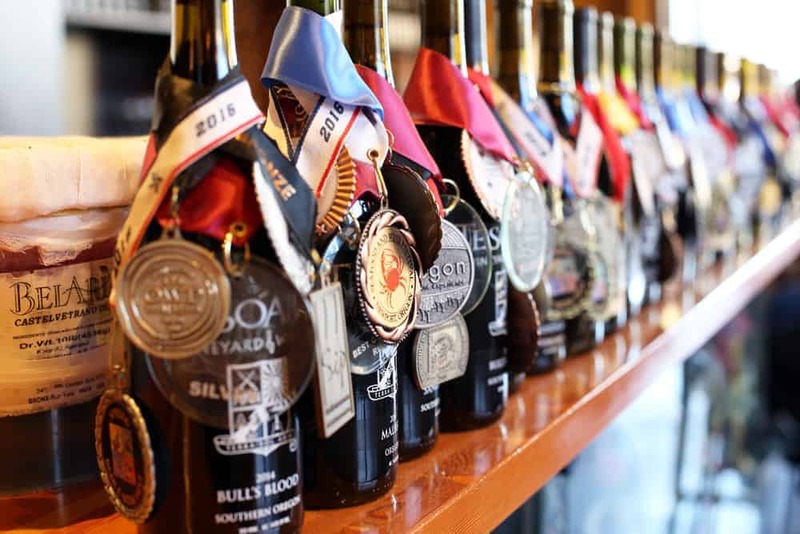 They sell nearly 100% of their production directly from their tasting rooms, through events, and to their wine club, which is why you won’t find it on the shelves at your wine stores and supermarkets. This wasn’t done through sophisticated distribution channels, it was the hard work and sweat equity put in by owner John Olson traveling to virtually every Oregon festival throughout the last several years. In fact you will still see him pouring wines at festivals throughout the state to this day. 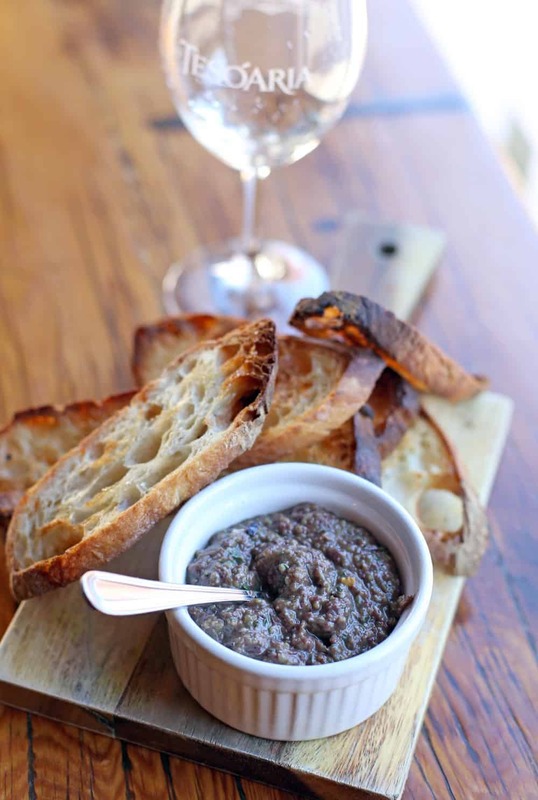 Due to customer demand and an overwhelming number of wine club members in Portland they opened up their North Portland tasting room in December 2013, equipped with a minimal open kitchen for serving food. The urban tasting room and restaurant, known for themed nights, like “Free Pizza Tuesday”, “Hangry Hump Day” family-style dinners on Wednesdays, and “Date Night Friday” prix-fixe menus, recently added a new theme for Thursday nights – Vegan Thursdays. 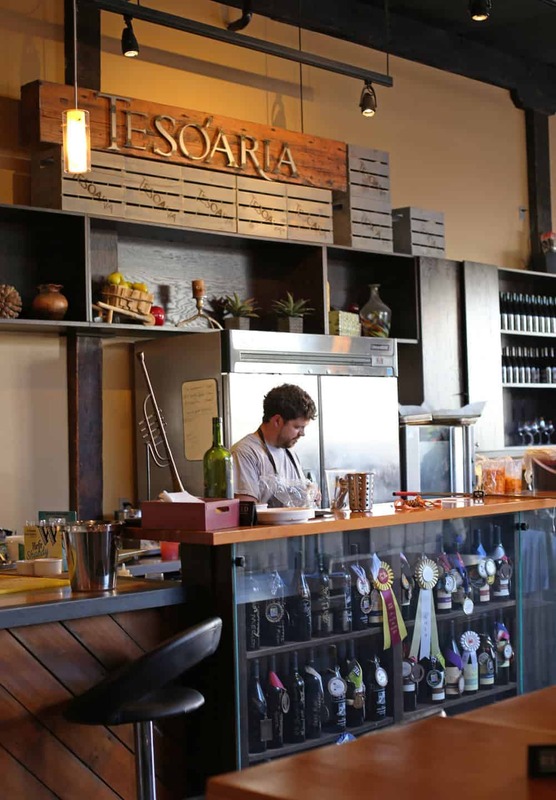 Meat-lover readers, don’t go thinking we’re turning vegan here, but there’s something very cool happening over at TeSóAria Winery, and there’s no meat involved. Dubbed “Shut up and Eat your Vegetables” night, this once a week menu offers a unique (not to mention gorgeous and delicious) take on tapas dining and vegan food and wine pairing. John Olson had the idea after making some serious changes in his own diet. “I’m not entirely vegan, but it’s pretty much 90% of how I eat these days,” he explained to me when my husband and I dined there last week. This came after Olson lost 50 lbs while following a mostly vegan diet, combined with exercise. 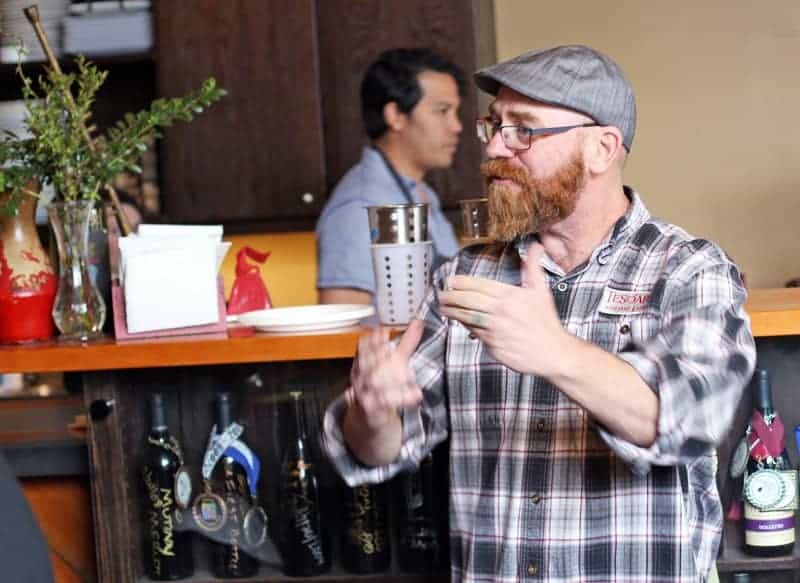 “In doing that,” he continued, “I started eating at other vegan restaurants in the city and discovered some great food, but a lack of fine wine pairings with vegan fare,” and thus a desire to experiment with the theme at his Portland tasting room. 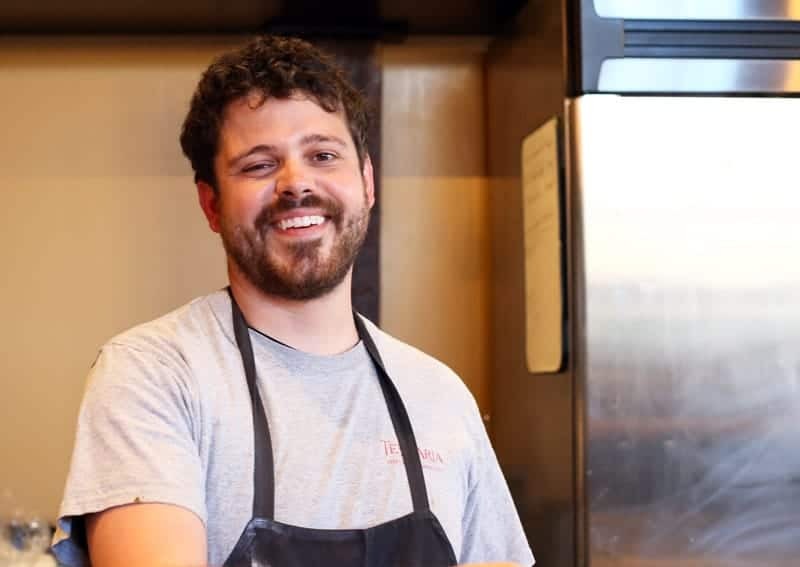 So he put Chef Max Germano and Culinary Institute of America graduate Daniel Escalle to the test of creating dishes to pair with his wide and diverse range of wines. But the food here isn’t your generic spread of tofu and green salads. Chef Max explained to me that he’s really focused on creating textures and depth of flavors in his dishes. He’s also into fermented flavors, which contribute to some of the layers of unique and savory characteristics you’ll find on the Vegan Tapas menu. Love the creaminess and savory flavor, layered with balsamic and lots of ground pepper. Worked great with the fruity 2014 Dolcetto. This was a cool offering showing you don’t need to be limited to a white or red for the pairing. This dish worked with both the 2015 Bella Rosa Secco and the 2014 (Redacted). I was really looking forward to this dish after reading about it. 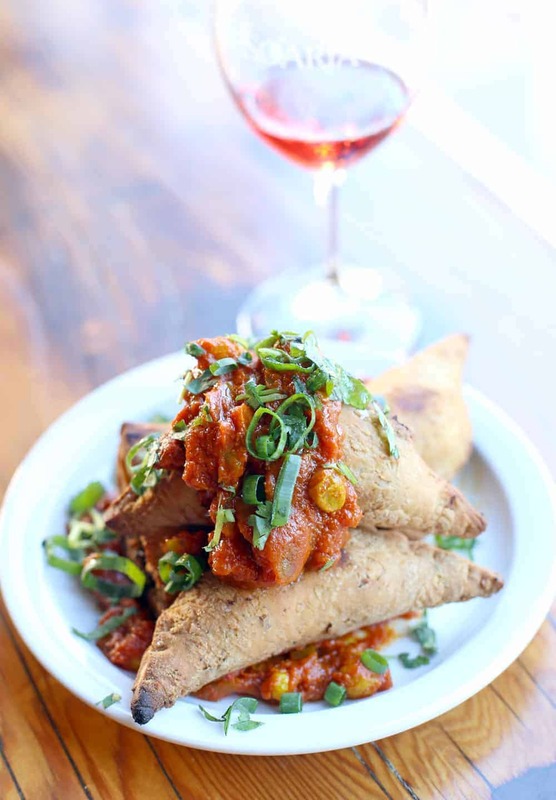 The vegan dough was prepared in-house (like everything else on the menu), and provided nice textures to balance out the Indian spice flavors and sweet and spicy tomato chutney. The touch of sweetness on the 2015 Riesling refreshed the palate from the spiced flavors of the samosas. One of the surprising dishes on the menu were the salad rolls that come stuffed with some pickled shitake mushrooms among other veggies. You’ll need both hands to eat these delicate rolls and warning, they go down easy. I was surprised by how non-vegan they tasted. There was a distinctly fish sauce taste that you get from a traditional Thai roll. I asked Chef Max what was the secret to achieving a vegan-version of those flavors, and he explained it was that black garlic sauce and the pickled mushrooms. Those fermented flavors give it that distinct note. And another surprise came when John poured me some of his Zinfandel to pair. Zin? With a salad roll filled with pickled flavors? No way! The fruity sweetness from the wine rocked with the fermented flavors of the dish. So cool. For something closer to the heartier side try the portabella sandwich, but don’t be skeptical like I was. “Oh, ok, just your typical average portobello in between some chewy bread,” I very wrongly assumed. Oh no! In this sandwich you’ll find more unique flavors from the pickled peppers and this really interesting hint of anise from the fennel greens. The best part? The bread! All of the bread here is made the day of service, so you won’t find any chewy or day-old bread here. Chef Max told me the soft-on-the-inside-crisp-on-the-outside bread on my sandwich was made just two hours prior to my 5:30 arrival. Impressive for a $9 sandwich. Ask about the story behind the suggested 2014 Bulls Blood wine pairing! It’s as entertaining as the wine is tasty. 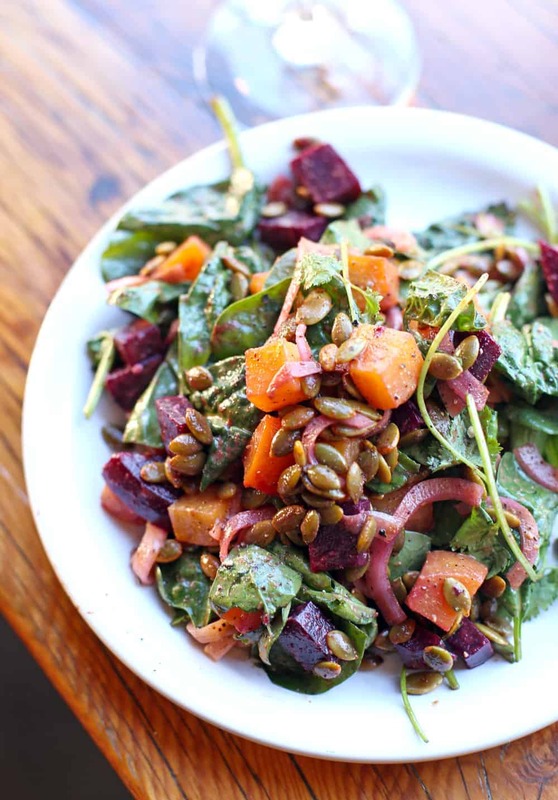 The salad of the week changes with what’s fresh and in-season, but is also a bargain for $7. Craving dessert? Try some cake. Vegan cake? Say whaaaa? Made with olive oil and agave to give it the moisture that would have been missing from lack of butter or eggs, this was richly flavored with the sweet apricots, fresh local strawberries, and cherries. Pair this with some sparkling Muscat to match the sweet flavors in the dish and call it a night! As far as I know there are no other wineries doing anything like this in the Portland area. It’s a super cool and unique way to discover such a wide range of wines paired with foods so beyond what you usually find at winery (I’m talking to you cheese and charcuterie). John and his talented chefs have got something very unique going on here, and vegans and meat-lovers alike can agree that it’s a winning combination. Heck, I brought my ultra-carnivore husband and he’s still talking about it a week later. His favorite thing………a tie between the samosa and the tapanade. In fact, I had a hard time getting a word in during our conversation with John or Chef Max because Sean was so fascinated with the food and stories behind each dish. That was totally okay with me, though. It gave me time to savor each bite and test each pairing. The vegan menu is offered from 5-9pm each Thursday. 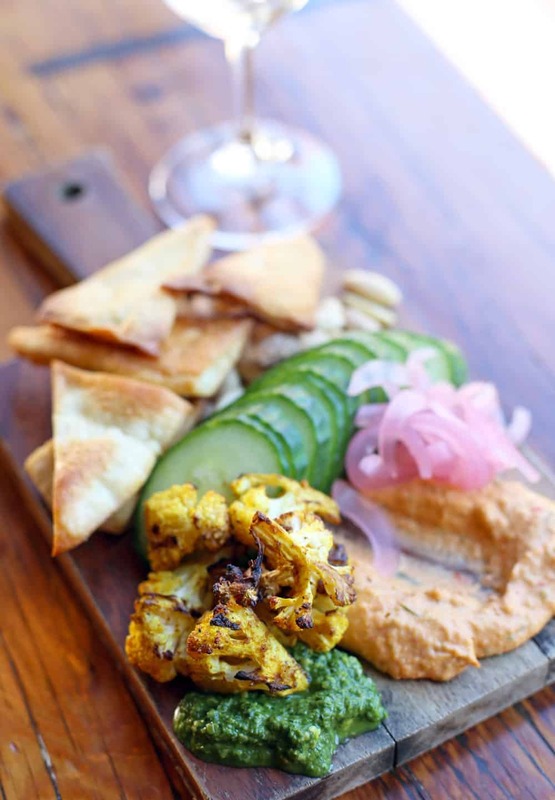 The tapas-style vegan offerings will change according to Portland’s seasonal markets, but the prices will remain $4-12 per dish. I recommend you go with friends and try as much as you can. If you go with a small group (say 3-4 people) you can share one of everything. Can’t go on Thursday but you still want to try the vegan deliciousness? 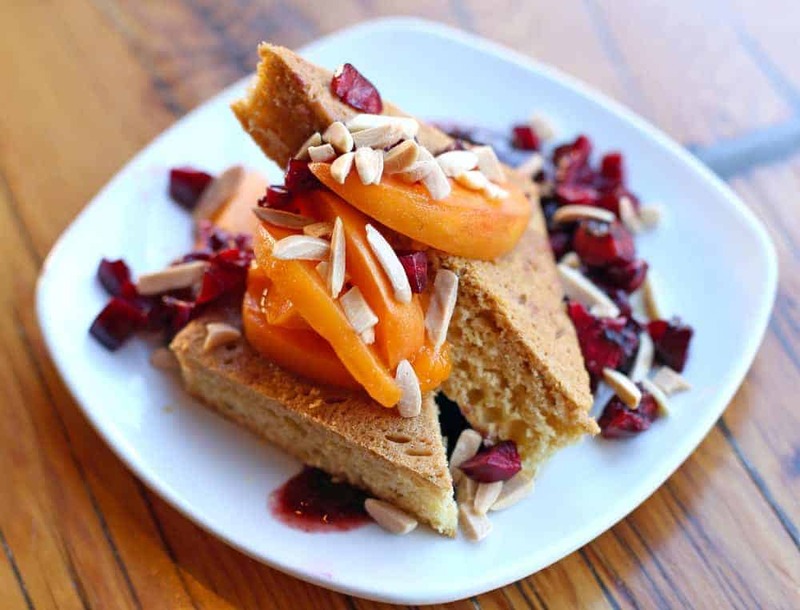 They will be offering an experimental four-course prix-fixe wine pairing vegan brunch every other month starting on July 24th (for $45, advanced reservations required). Wait a minute? “Brunch” with no bacon or eggs or butter-filled pastries? You know it. I tried their launch last May and it really got me thinking differently about what I consider brunch. For more about TeSóAria check out their website, or their events page for a schedule of upcoming events. Disclosure: Sean and I received a complimentary tasting of the Vegan Thursday tapas menu. Y’all know how much the hubs relies on his meat, and I can honestly say we both loved the experience and that these opinions are the real deal. Us too! We had a great time! oh yum!! This is right up my alley Mary! Thanks for posting as I didn’t know they were offering this or the vegan brunch. Thanks! It’s awesome. You should check it out for sure! I am going to this in two weeks with a vegan friend of mine and cannot wait! This sounds so great, especially that samosa! Plus your photos are gorgeous! Ohh yeah!!! Try everything!!! 🙂 And thanks so much for that awesome compliment on the pics!!! I’m glad you like Tesoaria! I keep getting surprised by the vegan food pairings, even though you ‘d think I would have learned my lesson now after all the other great food and wine flavors that John’s wines and Max’s imagination and home made and hard work in that limited kitchen (but he makes it work somehow!) I’ve experienced before. I also love that there are so many types of wines to try at Tesoaria so you can try lots of pairings with a food item to see what you like the most! I started to write, “The mezza board looks amazing!” Then I wanted to mention the salad rolls. Then I wanted to mention EVERYTHING because it all looks phenomenal! That looks ah-maze-ing! I’m not a vegan, but I do enjoy eating that way sometimes. All of those dishes look so good. I will definitely have to go there with a few friends.